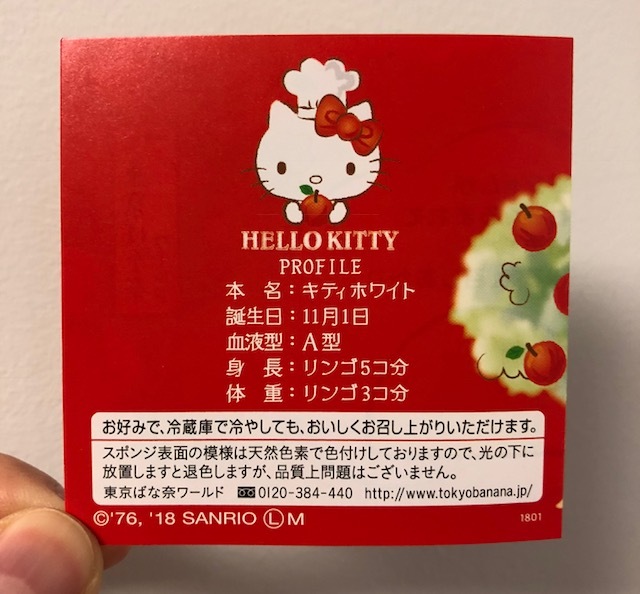 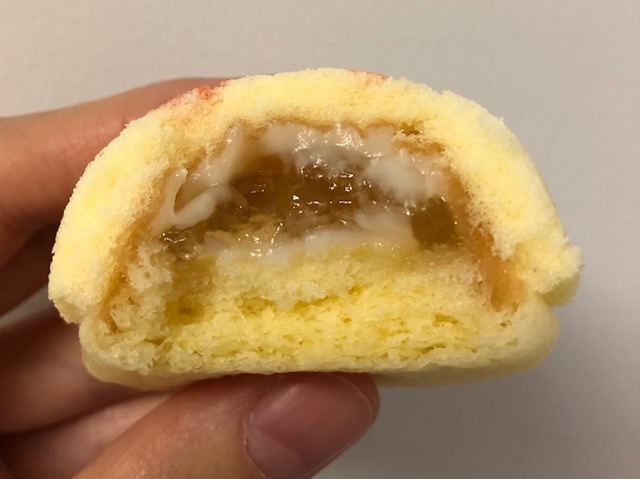 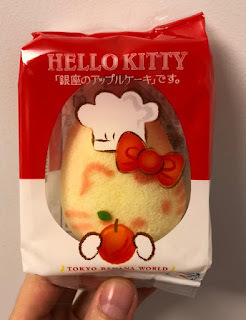 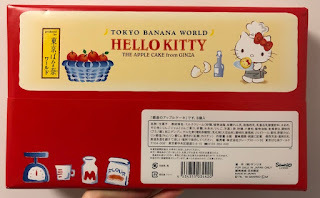 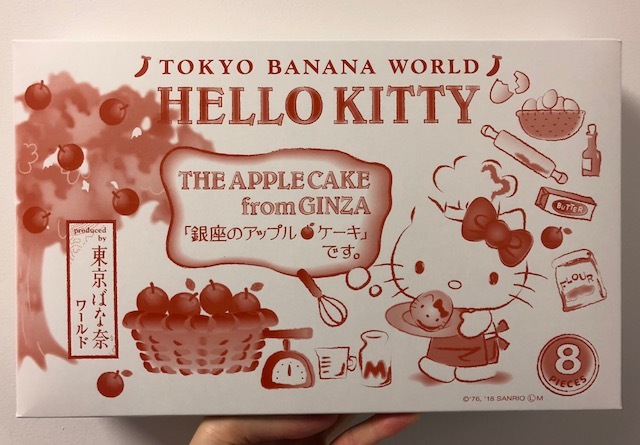 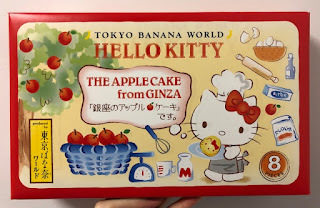 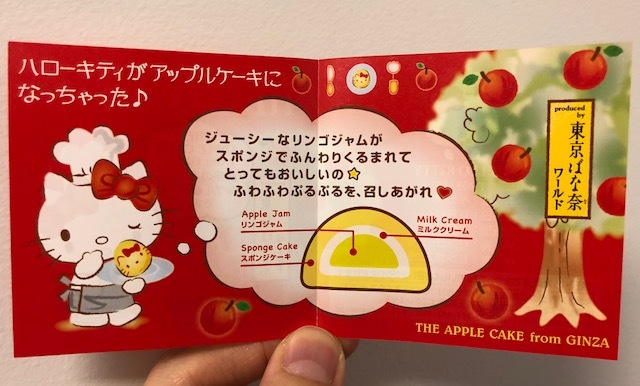 Tokyo Banana x Hello Kitty "The Apple Cake From Ginza"
On February 1, 2018, Tokyo Banana World's newest item was launched, and it's called "The Apple Cake From Ginza," collaborated with Sanrio for the first time. 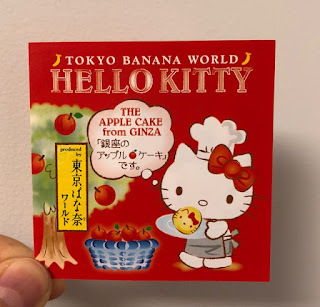 This product is only available at Narita Airport and Haneda International Airport, the latter of which is only available for those who pass the security gate/have tickets. 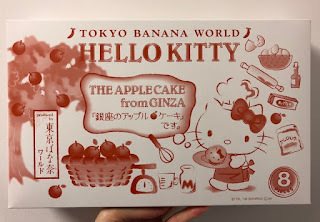 "The Apple Cake From Ginza"
Under the paper wrapping, the box had the same design. 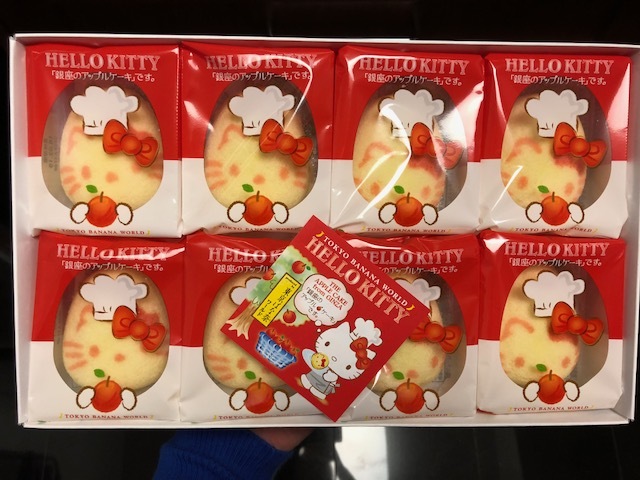 There're 8 individually packed cakes. Back side had information of Hello Kitty. 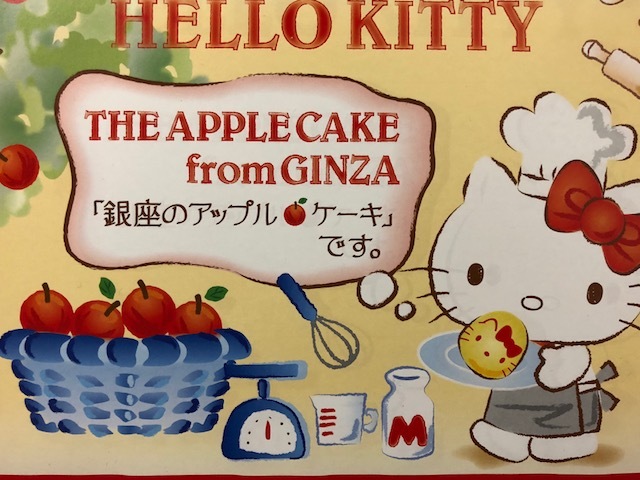 It's a Hello Kitty holding an apple with her ribbon and a white cook hat. At the bottom, there're drawings of the ingredients; apple, milk, egg and flour. 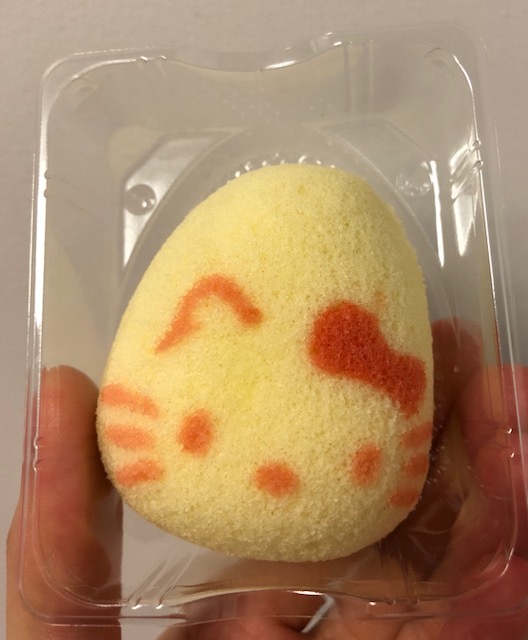 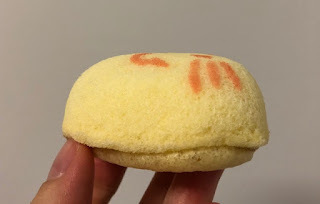 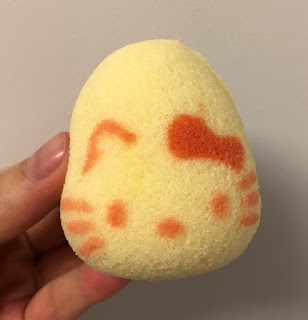 The cake was egg shaped and had Hello Kitty face with red ink, which is a natural coloring and they said if it's exposed to the light for a long time, the color may fade but safe to eat. 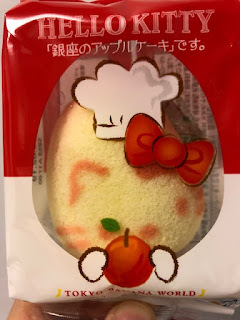 The cake was so soft that I had to hold it gentle otherwise the cake might have been deformed. 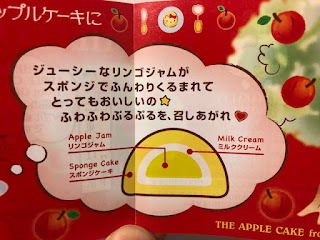 Under the airy, bouncy and soft sponge cake, there're milk cream and wiggly-jiggly apple jelly which was firmer than I thought and close to crushed Jell-O. Sourness and fruitiness from apple went well with sweet sponge cake and smooth milk cream. 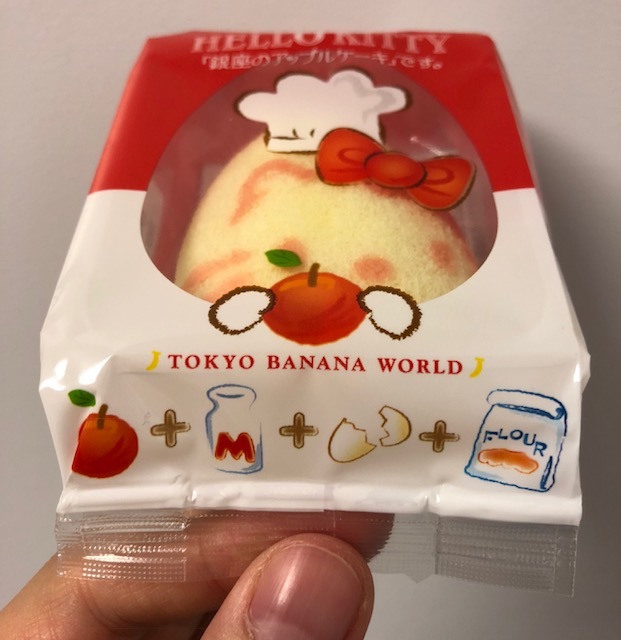 Other reviews of Tokyo Banana. Tokyo Banana "Banana Caramel Custard Cream"